Commencing Real Estate in 1987 Graham cut his teeth selling residential real estate in Mangere, Papatoetoe and Manurewa. A little over two years later Graham assumed the Managers position at Harcourts Papakura before buying the Franchise with his wife Debra in 1989. This opened the door to ownership of several offices in South Auckland that today also includes Pukekohe and Papakura where Graham and Debra enjoy the benefits of joint venture partnerships. Graham and Debra joined with David Clifton in owning Eastzone Realty Ltd who operated three offices in East Auckland for 13 years. Property Management is an important part of BCRE’s business where they manage over 800 Residential properties across Auckland and have recently established a commercial Management division. Awarded Harcourts Hall of Fame status in 2007 this recognised his contribution to Harcourts over the previous 18 years. Graham also has strong involvement in Rotary where he has been a member of the Rotary Club of Papakura since 1991 and was awarded a Paul Harris Fellowship in 2006 and was President for the 2012-13 year. Graham’s hobbies include the restoration and collection of Classic and Post Classic Motorcycles. 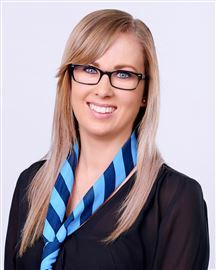 Annalea has over 20 years’ experience in the Corporate Sector & Property Management Industry. Being a landlord herself she appreciates the importance of keeping up with repairs and maintenance, continuity of rent and reviewing market trends to get the best performance from clients’ assets. Annalea will be able to provide you with expert advice on how to get the most out of your investment. Over the years she has built client trust through her honest & genuine approach. She has a dedication to providing outstanding service to clients using her excellent communication and organisational skills. 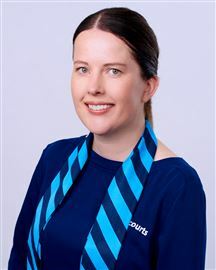 Annalea brings a very personal, caring & straight forward attitude to her chosen profession. Her people skills are outstanding and she sets high goals and standards for herself. I have worked in the property management since 2002 and have worked with some exceptional Property Management teams in the area and now I have a wealth of knowledge to share with you. Having lived in South Auckland for many years I can provide you with accurate advice on how to achieve the best return for your investment property in what is considered one of the country’s most diverse rental markets. With strong organisational skills and with a professional approach to the industry I can deliver exceptional service to every single property owner and also ensure all potential tenants receive a great experience while searching for a home. I am committed to managing your investment property by taking care of day to day hassles and carefully selecting suitable tenants. I would be honoured to help you with your investment property needs. 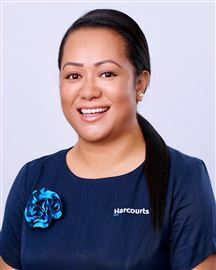 I have worked for Harcourts BCRE since 2008 firstly as an administrator and then a Property Manager. 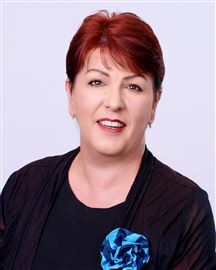 After maternity leave I am once again in the administration side of things and find my extensive experience a huge asset to our team in the Papakura office. I have been in the Property Management industry since 2008, starting off as an administrator then moving on to being a Property Manager after just one year. 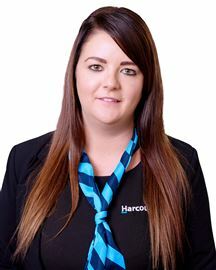 From 2011 I have worked for Harcourts BCRE Ltd and have become one of the more senior Property Managers as well as one of the most successful winning a number of monthly, quarterly and yearly awards. I have a reputation as a great communicator which I believe is the most important thing in Property Management. My landlords really appreciate this and trust me implicitly with arrangements for maintenance and tenant issues. I am constantly striving to not only meet and better the industry targets but also Harcourts more stringent targets, I consistently achieve this mainly due to the fact that I am a stickler for processes and procedures. I am a local girl growing up and schooling in Papakura so I know the area really well. I find this a real asset in our profession and truly believe it has enabled me to enjoy my role so I now consider my position as a career not just a job.